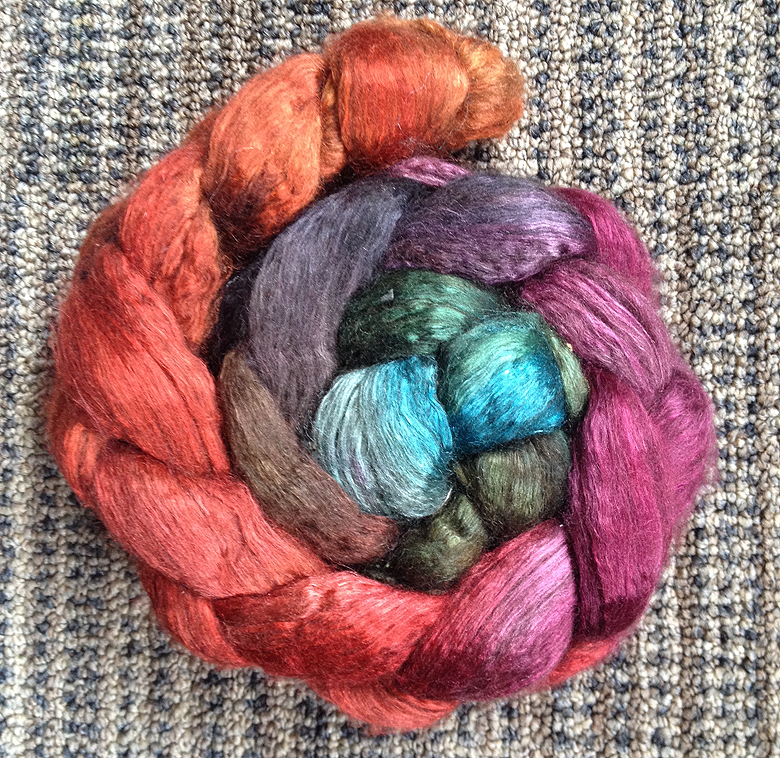 Further proof of the genius dyer at Inglenook fibres. Mother Macrina recently decided to shatter my fiber diet plans by releasing a series of batts inspired by the Hobbit. With a name like ‘Smaug, chiefest and greatest of calamities’ how could I resist? My nerdy little heart went all a flutter. 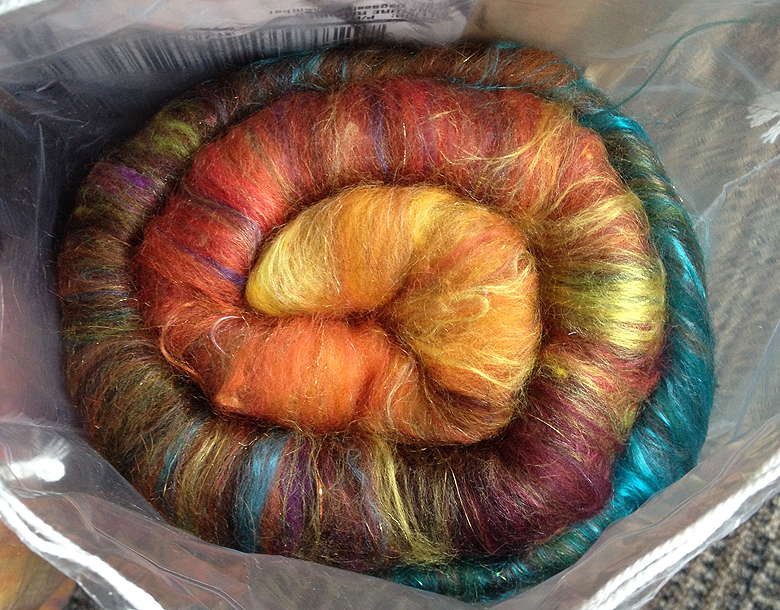 And turned it into this unbelievable batt, which I haven’t touched yet. Which I have turned into this! 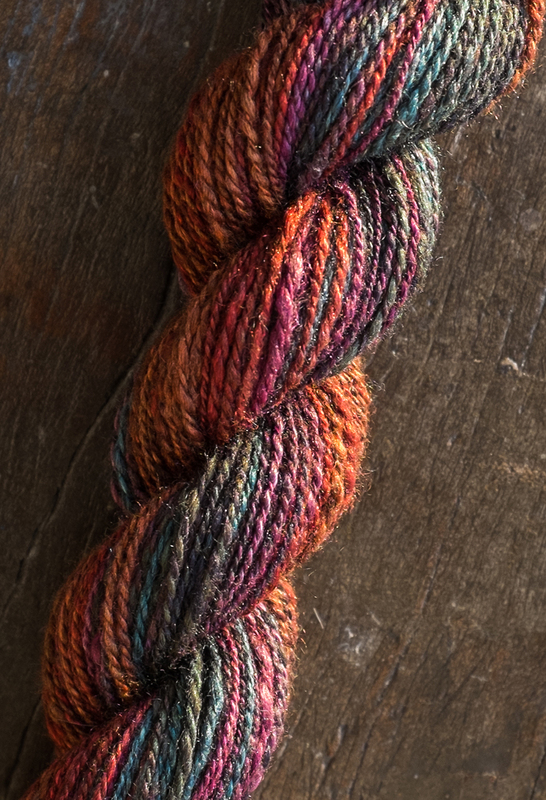 The Yak/silk is a challenging spin at first, so I spun from the fold. 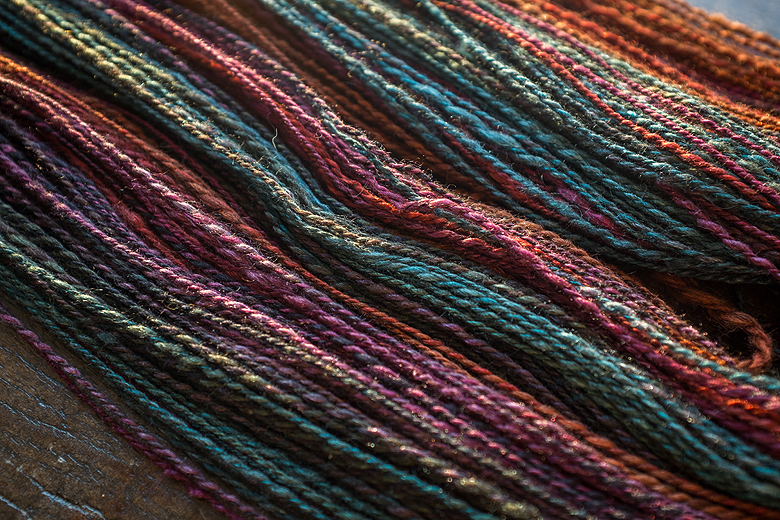 The results are just lovely and now I want more of it! Oh my goodness, that’s so lovely! 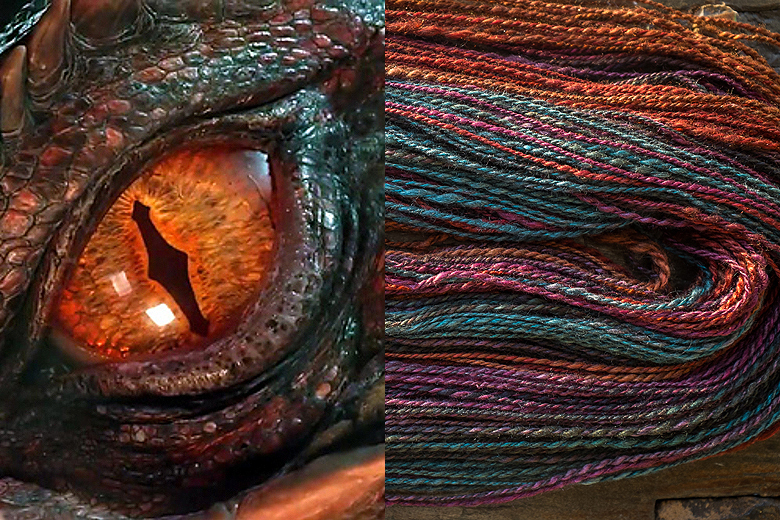 A perfect match for Smaug. 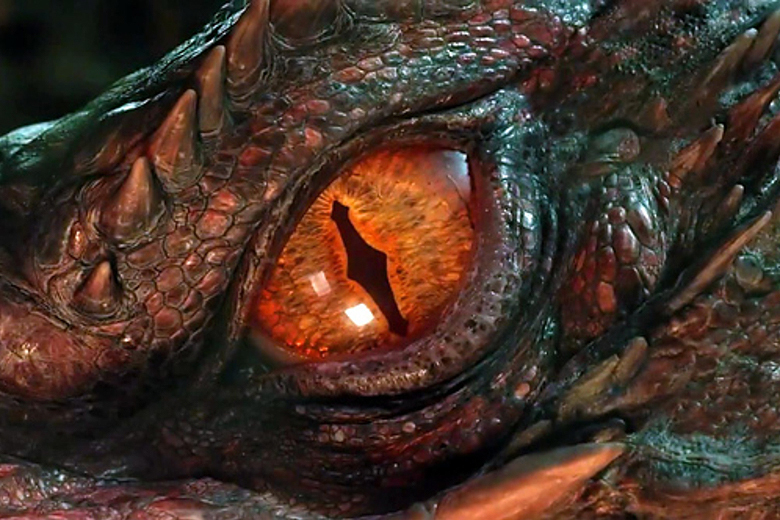 :) I’m really excited for the Special Extended version; hopefully it’ll show more Smaug/Benedict! Thanks Josiah! 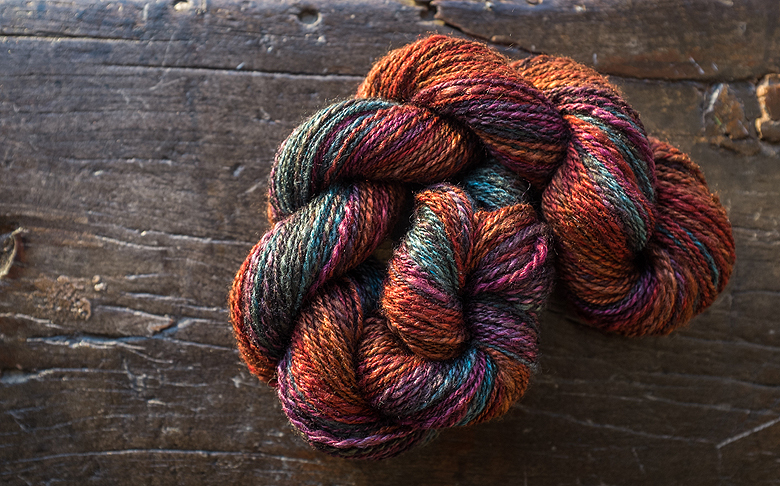 I’m super excited for the extended one too, I’m such a geek :) By the way, I LOVE your mirror sock pattern, it’s totally going on my list! Thank you so much. I love your designs and that really means a lot to me! We actually just got the Extended version today, and we’re about ready to watch it! I’m so excited! 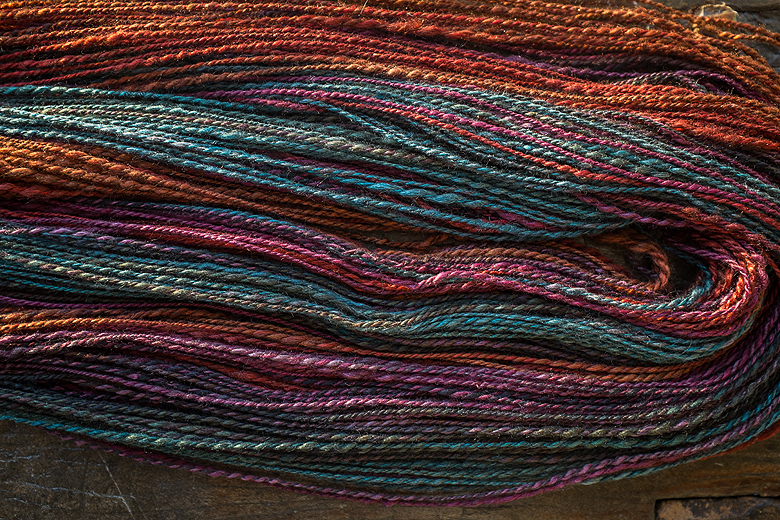 What a cool idea–and the batts and yarn are gorgeous!